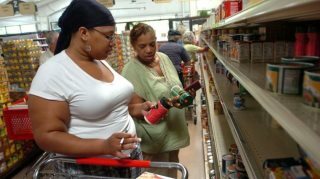 AFRICANGLOBE – Compared to all consumers, African Americans spend 30 percent more of their total income — even though we make $20,000 less than the average household. A whopping 87 percent of annual retail spending consists of Black consumers! But where does our money go? Hudson Valley Press Online gives us the scoop via an article from Nielsen’s SVP of public affairs and government relations, Cheryl Pearson-McNeil.